With the increase of smaller houses and apartments in the United States and around the world, many companies are producing high performance, beautiful small-space appliances. However small the living space may be, people still want the convenience of a stove, hood, dishwasher, microwave, refrigerator and washer/dryer. 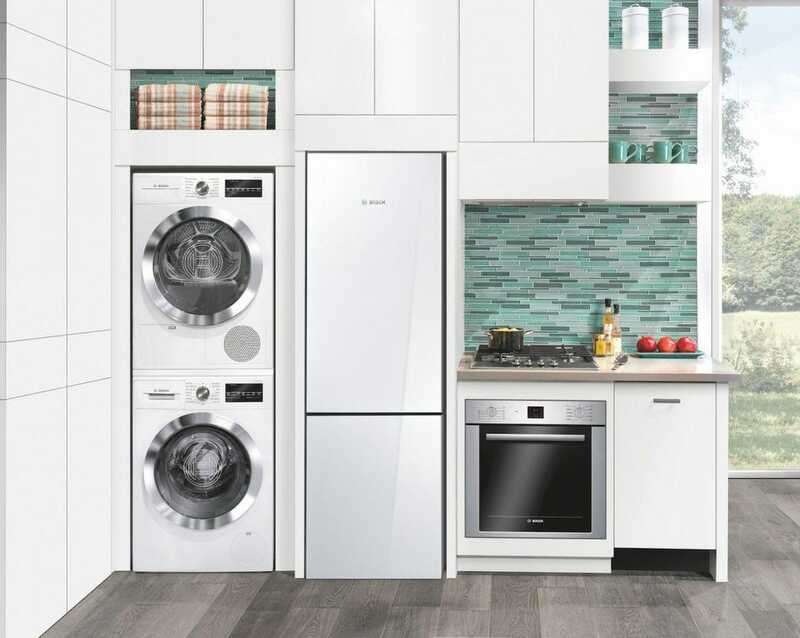 Appliance manufacturers are meeting the demand for smaller units by producing new smaller products – freestanding and built-in. The Association of Home Appliance Manufacturers estimates that the retail value of the compact market is approaching $1 billion. 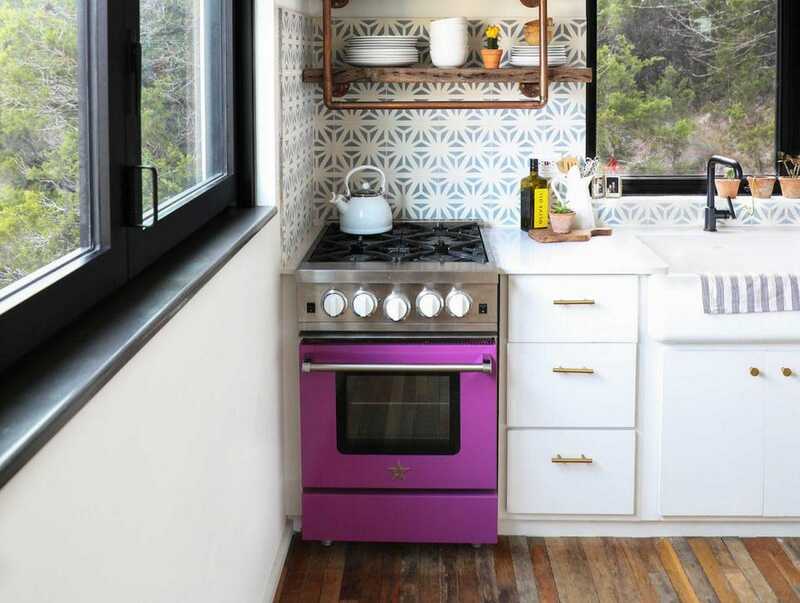 These smaller-space appliances are being used in tiny and small houses, apartments, guest houses, RVs, Accessory Dwelling Units (ADUs) and in larger houses with in-law suites and entertainment centers. According to Brian Huston, brand director of Haier, the company has discovered that eco-conscious millennials are interested in small-space appliances because they use less energy to run compared to full-sized appliances. These small space appliances are available in several sizes from 18-to-28 inches wide in refrigerators, ranges, exhaust hoods, dishwashers, built-in coffee makers and washers and dryers. 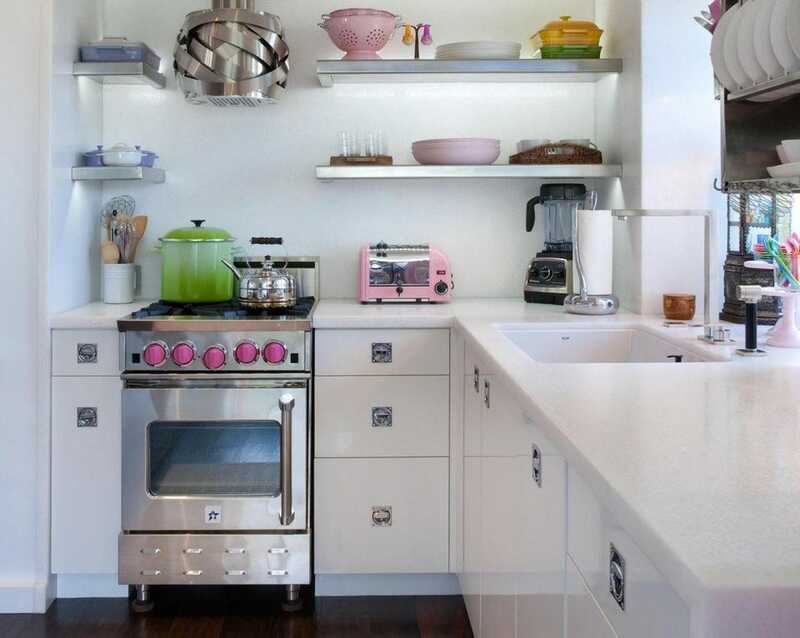 According to designer Kim Lewis of BlueStar, “Appliances must be compact, yet functional in tiny kitchens. Countertop space comes at a premium, so ‘multifunctional’ is the key word to designing small spaces.”Combining multiple appliances into one can be a major space saver. Rather than having both a vent hood and a microwave in the kitchen, Haier offers a 24-inch over-the-range microwave that also has a hidden vent included, to help save even more space. 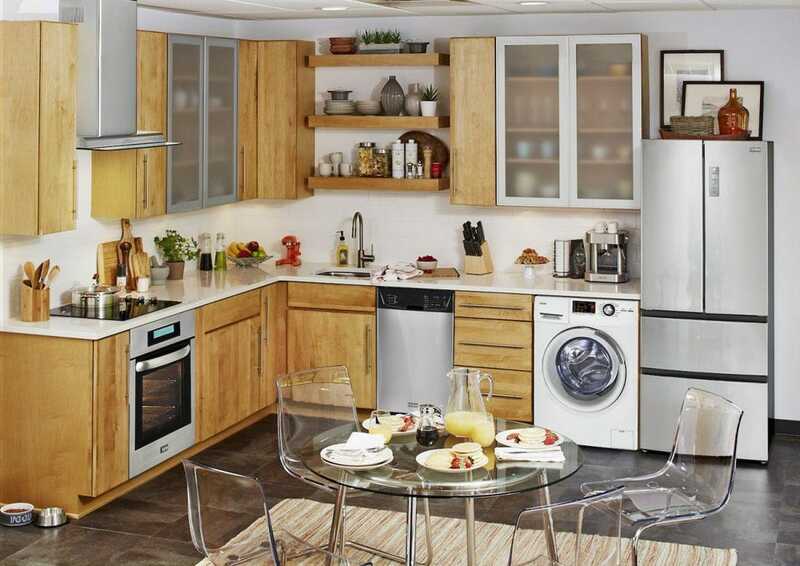 They also offer a 24-inch washer and dryer combo. Clothes are put in the 24 inch unit for washing and then do not have to be moved to be dried. Other small size washers and dryers are available in side by side and stacked models. The small-space appliance industry used to design products with only size in mind leaving the appliances to appear dull and boring. Now manufacturers use high quality materials, including stainless steel, colors and a variety of features and performance found in full-sized appliances, just on a smaller scale. Cook-tops are available in gas, electric and induction. Appliances must be compact, yet functional in tiny kitchens. Counter-top space comes at a premium, so ‘multi-functional’ is the key word to designing small spaces. In small kitchens, it’s important that appliances don’t protrude into open space. Bosch has designed built-in refrigerator models that sit flush with kitchen cabinetry. They have added lots of luxury features to their small space appliances with custom panels available to match their surrounding cabinetry, updated induction cook-tops with such options as interface control panels, a pull-out visor hood that stores inside the unit when the ventilation is not in use. and a home app to alert the homeowner if the freezer was accidentally left open. In certain spaces, small-space appliances can make the kitchen appear more spacious than using a full-sized appliance. Smaller appliances in a smaller space make the kitchen feel proportional and leave more room for storage and counter-tops or dining surfaces. Today the design and performance of appliances are not compromised by size.